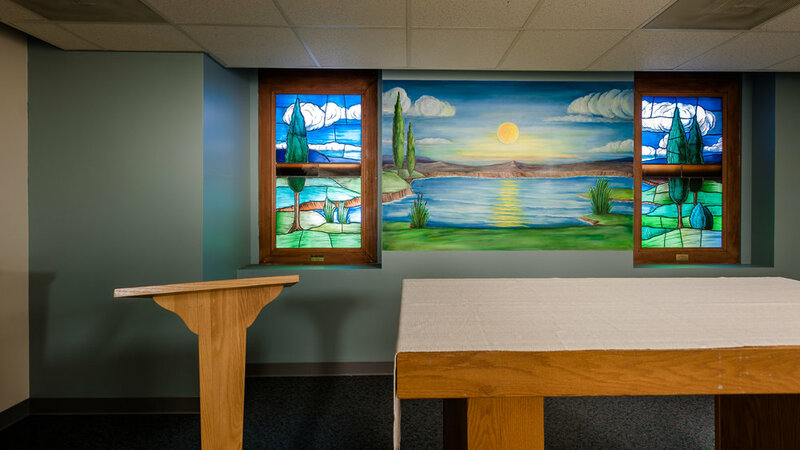 The Interfaith Chapel at the West Roxbury Campus of VABHS has moved around the hospital during various renovations. The current chapel, which is open 24 hours a day 7 days a week, seats thirty and has been in this location since the late 1990s. Catholic mass is held every day but Saturday, and a Protestant service takes place on Sundays. Memorial services and celebrations of life are held in the chapel. More often patients, family members and staff stop by for a few minutes of quiet during the day. 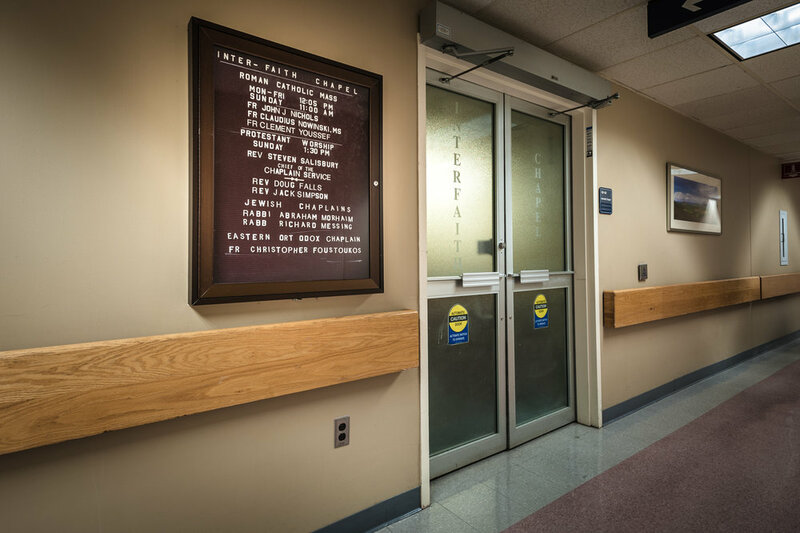 The West Roxbury campus of the Veteran’s Administration serves inpatients and outpatients with a range of health conditions. 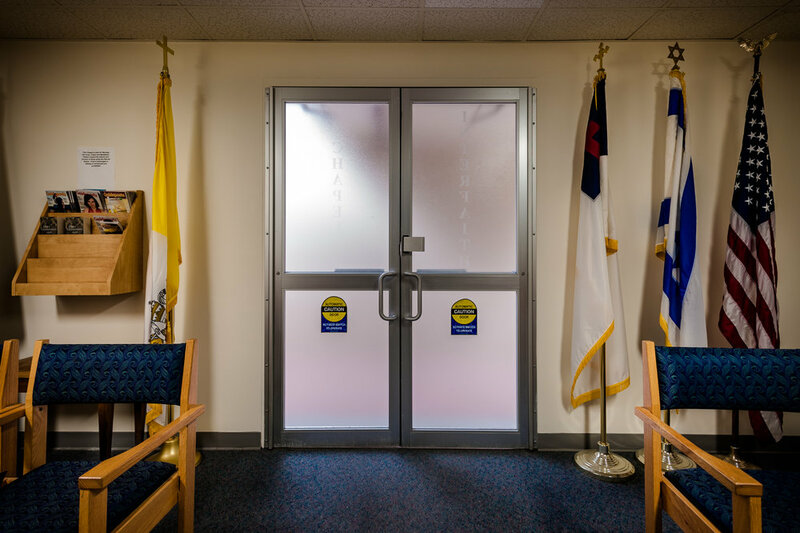 Emergency, rehabilitative and critical care are available at this facility which is served by VA chaplains from a range of religious and spiritual backgrounds.